Thief was a game I never played in previous incarnations and had heard many good things about. Many have said Thief gave rise to Splinter Cell, Assassin’s Creed and Metal Gear. 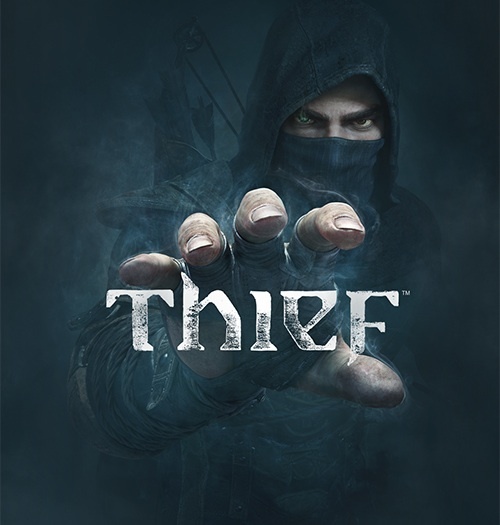 Some of those games that it gave rise to, I wish that Thief would have also taken notes from them. Don’t get me wrong, it’s not an entire mess of a game but for all the hype especially as one of the first games to arrive post next-gen launch it fell short of what I was expecting. The story itself is a bit muddy as somehow the main protagonist Garrett working alongside his protégé Erin end up at a mansion with some shadowy cult opening up a gateway in which Erin falls through and is presumably killed. Garrett wakes up later and apparently has new thieving powers (a’la Batman’s Detective mode) to help him traverse his terrain. 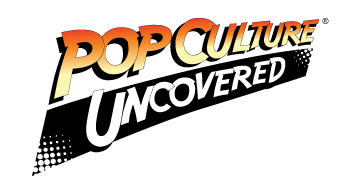 So it’s up to Garrett to solve the mystery of the cult ad find out what happened to Erin. And it kind of leaves you hanging as it takes a while to understand what you are up against and even then you still really don’t know nor care. What is interesting is that this game plays almost like the thieving version of Skyrim. If it isn’t bolted down, take it and for everything you steal you automatically get credits towards upgrading your skills and weapons which would be fine, but Garrett is supposed to be a master thief so why is the game predicated on you being a petty thief and stealing everything? One aspect I do like about the game which I wish more games of this genre would do is how it goes about dealing with light sources. Garrett works best in the dark and in certain areas, Garrett has the ability to extinguish light sources with sometimes a simple switch or blowing the lights out or something more elaborate such as a water arrow. While dousing some of these lights in the game is great there is still the questionable AI that I have a problem with. A few times I have used a water arrow to only have the AI make a note of it via voice dialogue but not move to re-light it. On other occasions, I have put lights out using other methods and the AI comes running along to light it right back up. It’s just very inconsistent on how this is done. One of biggest issues I had early on was I was stealing a mask in a house and was trying to make my way out and the house was pretty dark except for a woman reading a book with a guard stationed outside of her room. I wanted to distract her to steal something else and just for the hell of it, I threw a bottle on the other side of the room which broke, very loudly. To that, she only commented about who is there and the guard woke up and then dozed back off. REALLY???!!??? So nobody is going to investigate a shattered bottle on the other side of the room in a dark house?? Ok then. Other issues I have had are with the controls. Sometimes they work and sometimes they don’t. Lock-picking is a straightforward method that is reminiscent of Skyrim which works great. But sometimes walking to a box or a drawer to open it for pilfering doesn’t always work. Sometimes if you aren’t positioned ‘just so’, you can’t get the item. Sometimes I have to double press the button just to get it to work. Combat is another issue with this game as this is one thing that Eidos didn’t steal (pun intended) from Skyrim. Garrett can barely manage his own against one opponent but the second he gets ganged up on, it’s over. And because he has this ‘do not kill’ philosophy, swords are out and most of his opponents are packing to kill so my advice is if you alert too many guards, just run. I will say this however, if you die, the save points are generous in placing you where you left off. Another issue is that unlike more modern games like Assassins Creed, there aren’t many places for you to climb and you don’t have that freedom to maneuver like you would in other games and the play-map is a mixed bag but at least you have the option of a guide-point on your HUD to direct you to your next location. One thing that I heard complaints about was the constant loading the game has to do when you go from location to location. I am fine with this actually as sometimes I have hated to have to travel from one point in a town to another like in Assassins Creed. BUT, the load times can take a while. It’s not game breaking but it’s worrying. Graphically, Thief is really a mixed bag on the PS4. Some of the cutscenes tend to stutter and for many of the characters in game, their facial models look very last gen especially Erin. This was probably one of the things that dropped my expectations the most. The City itself however looks really good at some points with the hi-res treatment that it got but I do wish that there was some kind of day/night cycle even if it was early morning and sunset and not just dark all of the time. Some of the light sources and water sources are good but if that is all going on for it graphically, then why bother? For this to be a AAA title, I was expecting so much more in this game graphically. So is there anything likeable about this game? The stealth aspects are cool as advertised; you can approach a mission in multiple ways. So far I have tried completing levels with as very little contact as possible and so far I have done ok in doing it. There is a ton of stuff to find if you have patience and a lot of side missions to do. This game will hold me over for a short time at least until Titanfall comes out in a few weeks.